Gutter cleaning is a chore that is often neglected or forgotten about until you have a problem. Our company wants to help you prevent any damage that can happen to your house, by simply calling us now and booking our professional gutter cleaning service to take care of this task for you. Our cleaners have years of experience in gutter cleaning, and they are unrivalled here in Cricklewood. What is more, we are not only offering you the best professional gutter cleaning service in town, but we also have the most affordable and economical prices. Be cautious and book our professional gutter cleaning service as soon as possible to inspect and clean your gutters. This will save you a lot of money and worries in the future. Do not wait, like most people, until it is to late and the damage is done. We want to help you and to protect your home for flooding caused by clogged drainage system. Our cleaners are experts who are savvy and equipped with the necessary tools to efficiently clean all of your gutters and downpipes. We promise you that with our cleaners’ regular maintenance your drainage system will be working properly and your home will be safe. 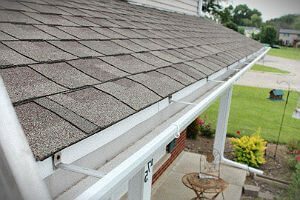 What is more, if our cleaners can walk on your roof they will clean up the roof as well, limiting the debris that can fall into your gutters. We are offering you a very convenient and detailed gutter cleaning service and you can book our service at any time and anywhere in Cricklewood. Do not waste any more time, let us help you get your gutters working properly.